Many people have no idea that “professional cuddler” is an actual thing. 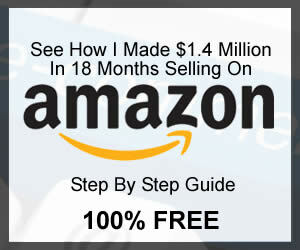 Not only is this a real job, you can actually earn money (and good money, under the right circumstances) doing it. When some people think of cuddling, they think of babies. Being a professional cuddler has nothing at all to do with rocking and holding babies. A professional cuddler cuddles up with other adults. Surprised? Let us explain. There are lots of reasons why someone might pay a professional to cuddle with them. If you ask a psychologist, she’ll probably tell you that it comes out of some deep, unmet need for closeness and affection. Perhaps the person was not given enough affection by parents during their childhood. Parents (or other loving caregivers) may have been absent from their life, either physically or emotionally. Hiring someone to recreate this role is a way to capture what was lost early in life. However, for others, it’s not about a lack of affection in childhood. It may be that the person doesn’t have a life partner to provide the level of affection he or she needs. Maybe that he or she has intimacy issues and uses a professional to meet this physical need. It may be that he or she has suffered some kind of a loss of a significant person in their life. A person might hire a cuddler to sit with him by the graveside of a dead wife. Another might call on a cuddler during a personal crisis, like a divorce or the loss of a job. Whatever a person’s reasons, there is no denying the evidence that says human touch is not only beneficial, it is essential for both emotional and physical health. Not only that, it can greatly reduce a person’s propensity for violence, it can improve the body’s ability to fight disease, and more. What Does a Professional Cuddler Do? Hiring a professional to cuddle sometimes seems, to many people, a little bit weird at best, and sketchy or suspicious at worst. “Cuddling” is not some kind of covert way to advertise illegal sexual services (at least, not with legitimate cuddlers). Instead, all that a professional cuddler does is, well… cuddle. This can involve any touch from simple holding of a client’s hands to a full embrace. Certain areas of the body (i.e. the “bikini” area) are usually off limits. Depending on the cuddling service (yes, they exist! ), a client may have to sign off before the first cuddling session on rules. This typically covers what a session looks like as far as length of time, and what the boundaries of touch are (i.e. avoid the bikini area). Clients may choose to carry on a conversation with their cuddler, or enjoy the session in silence. Professional cuddlers are allowed to engage in conversation if the client wants to. Where Does a Cuddling Session Take Place? A cuddling session can take place just about anywhere a client wants. More often than not, sessions happen in the client’s home. Sometimes clients want to conduct their session at a location outside their home (as long as the professional cuddler is comfortable with it). For instance, a client might be attached to a particular view in a public park so the cuddling session could take place there. Some cuddling services have actual physical locations with some type of on-site cuddling space. Clients would come in for a session much as a patient would come into a doctor’s office for a checkup. Where in the World Do I Find a Professional Cuddling Service? This is a new, but growing niche industry. As such, you may only be able to find a professional cuddling service if you live in or near an urban area. How Can I Become a Professional Cuddler? Can you see yourself doing this job? All it really takes is a compassionate heart and the ability and the ability to engage in touch comfortably with strangers. Requirements for hiring professional cuddlers may differ from service to service. Some may only hire those with certification (yes, there is a certification program for professional cuddlers!). 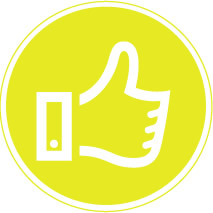 Other services may hire people without certification, but only if they pass an interview and a screening. Such companies will then provide their own cuddling training that meets their company’s standards. It’s also possible to work as a freelance or independent cuddler. Just know that many potential clients will only be comfortable with someone who has had some kind of training and/or association with a larger company. Cuddling with a stranger involves building a strong sense of trust. Being certified as a professional is often a big part of that trust development. We highly recommend getting training that leads to industry-recognized certification. So Where Do I Go to Get Certified? Cuddling certification training is offered both in person in a classroom setting as well as online. If you own a computer and have access to WiFi, you can take on online course anywhere in the world. In-person training, like cuddling services themselves, is typically only available in urban areas. We highly suggest doing the in-person training if at all possible. You’ll come out of the training feeling much more comfortable with the idea of touching strangers and how it should be done. There are various levels of certification you can take. It is recommended that you at least take the minimum program. There are also regulatory bodies that you may be required to register with after you successfully complete the course. This may include paying an annual fee to maintain your valid certification. How Much Does a Professional Cuddler Make? If you work for yourself you won’t have to share your fee with anyone else. However, you’ll also be solely responsible for all of the costs associated with operating your business. As mentioned previously, “cuddling” is a relatively new business niche. It is expected to continue growing over the coming years. Snuggle Buddies is one of the largest cuddling service providers in the US. It operates in all fifty states. However, Snuggle Buddies’ cuddlers are independently contracted. Therefore, there may or may not be a professional cuddler located in a given state at all times. Snuggle Buddies’ cuddlers are able to travel, but within limits. Typically, cuddlers will only travel to distances within two hours from their home in any direction. Extra fees apply for travel, depending on distance. This is in addition to the cuddle session fee. Snuggle Buddies also offer one hour phone sessions with a cuddler for $60. A phone session is great for those who might be a little shy about the idea of cuddling with a stranger, or who just want someone to listen and talk. Snuggle Buddies allows sessions to occur in the client’s home, the snuggler’s home, or outside locations like a hotel, park, movie theater, etc.). Individual professional cuddlers are allowed to refuse a particular location if they feel uncomfortable. Unfortunately, there are a significant number of negative reviews about Snuggle Buddies on the Web. The most common complaint is customers pre-paying for cuddle sessions but either not hearing back from the company or the cuddler not showing up for a session. There are also a number of complaints posted by employees of Snuggle Buddies (those contracted to work as professional cuddlers). Their biggest complaint is not receiving the pay from the company they were due. This company was formed when a former owner of Snuggle Buddies split from the company. 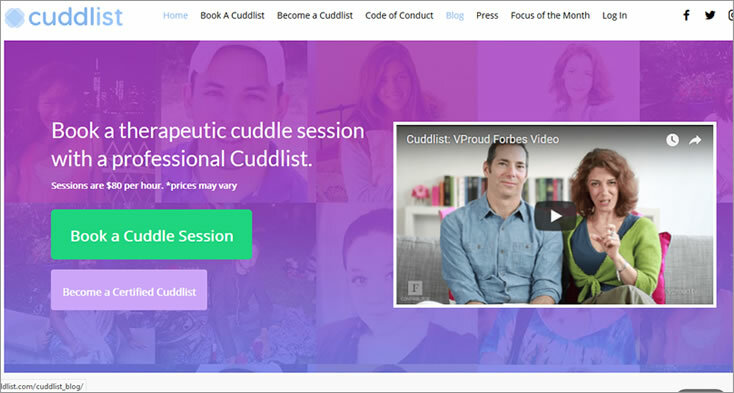 Cuddlist’s platform and services are almost identical to Snuggle Buddies. Also, like Snuggle Buddies, Cuddlist’s cuddlers work as independent contractors. Cuddlist operates in all fifty states, but there may not necessarily be cuddlers located in all fifty states at any given time. Prices can vary because each cuddlist is free to set his or her own rates. The average is $80 per hour. The minimum that a cuddler can charge is $60 per hour. Independent contractors are free to choose how they receive payment. Most require prepayment. It is actually very hard to find reviews of Cuddlist on the Web. There may be two reasons for this. First, Cuddlist is a relatively new company. Secondly, since its cuddlers are independent contractors, users providing reviews may be posting online reviews about their specific cuddler and not the company itself. Cuddling is a valid profession and there is real money to be made. You probably shouldn’t expect to make a livable income though. The industry is too new and has yet to gain wide public acceptance. It also takes time to build a clientele. Additionally, you’ll make more money if you live in or close to an urban area. You’ll have a larger population to draw from. We definitely wouldn’t advise doing this job without taking the certification training. It will give you credibility, teach you the ethics of the profession and give you the tools you need to stay safe. Finally, we must warn you that there are more so-called “cuddling services” on the Web than just the two we profiled. We specifically left these off of our review list because of concerns that they were not legitimate cuddling service providers. If you decide that being a professional cuddler might be a good job for you, be careful who you sign on with. 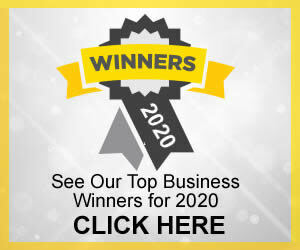 Thoroughly research any company on your own (including the ones we profiled) to make sure you are satisfied with their reputation. Also, make sure you are clear on what kind of services they are actually providing. Unfortunately, there may be companies out there providing services that are sketchy or even illegal under the guise of cuddling. We would also recommend that you sign some kind of contract before you start working with a particular company. The contract should spell out how you will receive your pay so that you avoid some of the situations described previously where contractors were not receiving payment. In conclusion, as long as you do your research and take the certification training, we think professional cuddling is a good way to earn a side income. Snuggle Buddies is way too shady to work for. Their F rating with the Better Business Bureau speaks pretty damning of it. I had a bad experience with them, too.